Lake Braies is situated in the homonymous valley, the Val di Braies, which diverts from Val Pusteria between Villabassa and Monguelfo. 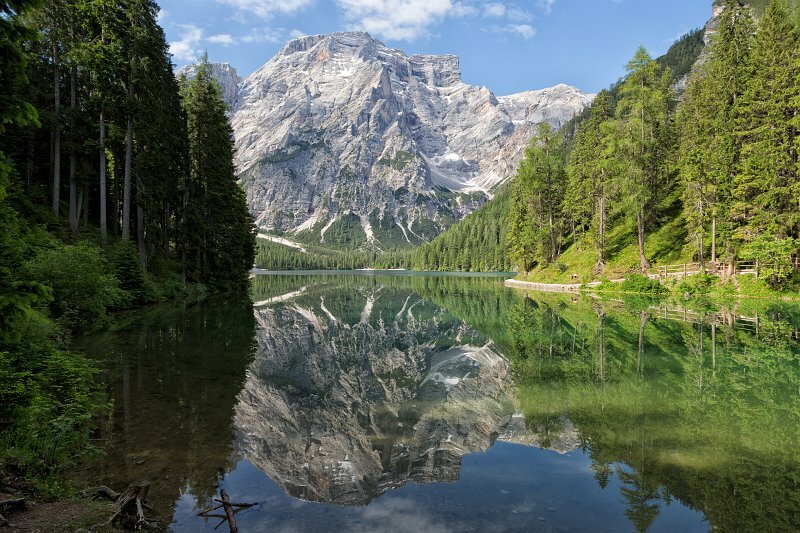 This lake, located in the heart of the Braies Dolomites, is characterised by its unique position in the north of the nature park Fanes-Sennes-Braies. The geological origin of the emerald green lake is referable to a reservoir dam, consequence of a mudflow.